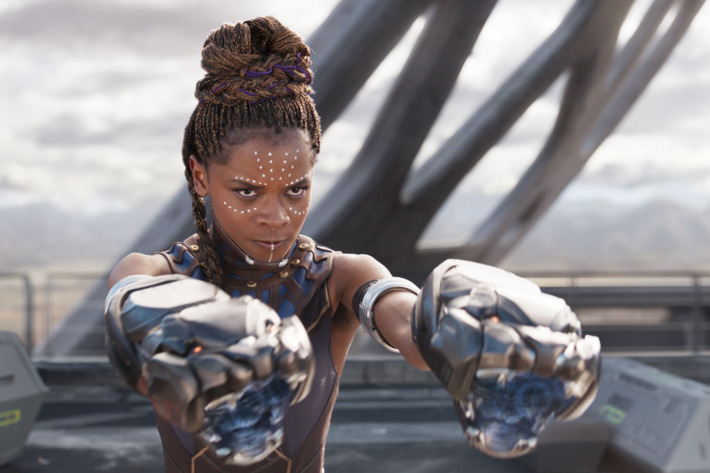 Letitia Wright, Shuri in ‘Black Panther,’ says her faith in Christ keeps her grounded. Black Panther features Hollywood heavyweights and Oscar winners, but a relatively new actress, Letitia Wright, might just steal the show. For Wright, starring as Shuri, the princess and tech wizard of Wakanda, is not the most important thing in her life. She told This Morning that her happiness depends not on her acting career but on her relationship with God. Wright grew up in Guyana and moved with her family to London when she was 8. She was almost immediately drawn to acting. After achieving some initial success, however, she says she found herself in a dark place. It was then some Christian friends shared their faith with her. That changed her outlook on her career. “I was pretty much obsessed with acting, and it became my world,” she told W magazine. “It became what I used to be happy.” After saying, “OK, Jesus, I’ll try you,” she says she hasn’t looked back since. Wright’s newfound faith led her to take a seven-month break from acting, which included pulling out of a movie with Nicole Kidman. “I remember God was like, to me, ‘Give up the job. I can give you more than that; I just need you right now. Give up the job,’” she recalled to Vanity Fair.